Netflix has started a new social recommendation feature that allows the user to suggest media content to friends without posting to your Facebook. 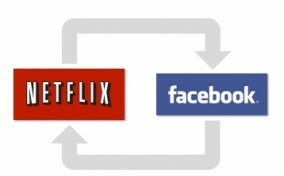 For instance, once connecting Facebook account with Netflix account, a question will be asked after watching your movie or TV show “Do you want to suggest this video to a friend?”. If user chooses to suggest video, a list of facebook friends thumbnails will appear where you can checkbox desired friends to suggest video or search by name. This is where it gets more interesting, after selecting desired friend to send media suggestion, Instead of posting suggestion as facebook status update or uploading it to your friends Facebook news feed Netflix will alert selected friends once they sign in on their own Netflix account, notifying them about the selected movie or TV show that was suggested. If that friend hasn’t linked Facebook account with netflix account, Netflix will simply send a private message to friends Facebook instead. After friend watches your recommended suggestion, you will then be alerted. This recommend feature might be what was needed in order to enhance Social TV experience by directly interacting with your social media friends. Essentially, this feature will help keep you and other friends talking about movies and shows that you like. Either way, instead of blowing up your friends Facebook news feed you can now blow up their Netflix feed with all your favorite flicks. Check out the introduction video to the Recommendation feature on Netflix above.